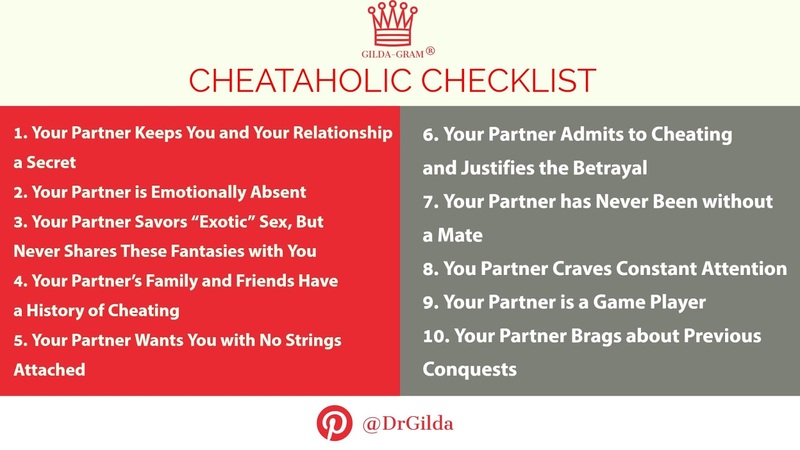 Because so many people have asked for this, I have devised a Cheataholic Checklist that consists of 10 unusual Relationship Red Flags that can signal oncoming danger. This Checklist ignites your brain’s 120-millisecond mechanism that warns that you have fallen for one of these Relationship Red Flags in the past. All you need to do is listen to what your brain tells you! 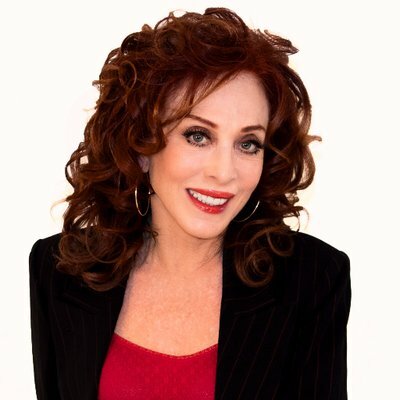 Of course, relationships are comprised of people, and people change their behavior and their wishes often. So warning signs that apply to every situation and every personality every time won’t be the same for everyone. However, there are some general guidelines that people can follow to determine a ready-to-betray mate. 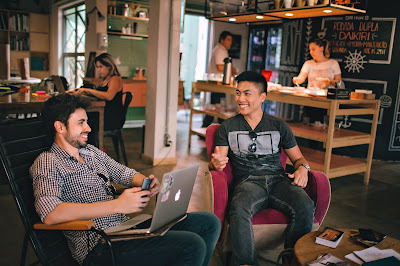 Even if that person is already your partner, examining these guidelines can foster understanding and discussion towards graceful conflict resolution. I believe in taking restorative healing steps before the opportunity to apply them disappears. It’s easier to leave a cheataholic in the short term than to become more deeply involved with one over a long and painful haul, only having to exit later. Similarly, it’s easier to re-ignite the sparks of passion gone astray than it is to wend your way back from a devastating betrayal. Whether or not they choose to act on what they discover, partners can easily detect the signs of a cheataholic—if they only open their eyes. Some signs are blatant, but a partner must still be willing to acknowledge that something is out of whack. Obvious signs consist of the mundane: the passenger seat in the car moved out of its usual position, evidence of a new post office box, hairs of a different color found on clothing, the smell of cigarette smoke or perfume, and hushed telephone calls and secret emails. If you feel your partner has pulled away even somewhat, the next step is to investigate why. While these obvious signs just mentioned are pretty common, there are other Red Flags that may or may not be so clear. 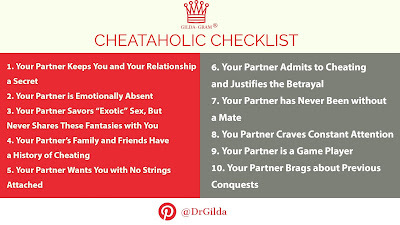 The following Cheataholic Checklist consists of 10 not-so-obvious Relationship Red Flags. This list will alert you to some warning traits you might not so readily observe. As you will see, these 10 were derived from burning questions from my clients and readers. When you recognize how your poor treatment is affecting your emotional well being, you will begin to acknowledge many other Red Flags.